So Many Dates, So Little Space! 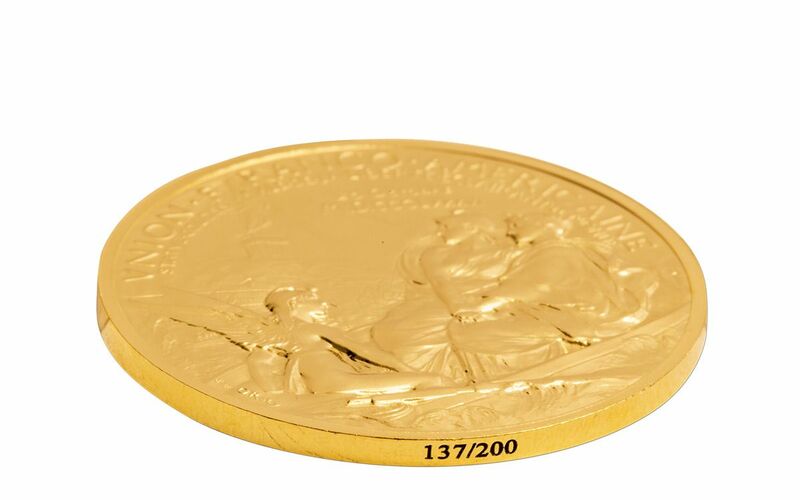 The original Statue of Liberty Medals were struck in 1896. 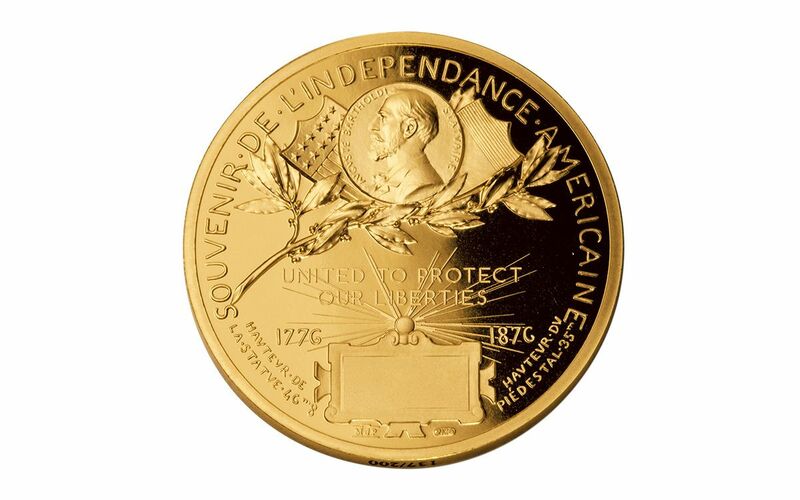 So why does the reverse display 1776 and 1876? Fair warning -- you may want to grab a calculator for this one! 1776 was the year the Declaration of Independence was signed. To honor its 100th anniversary, the Statue of Liberty was supposed to be unveiled in 1876. 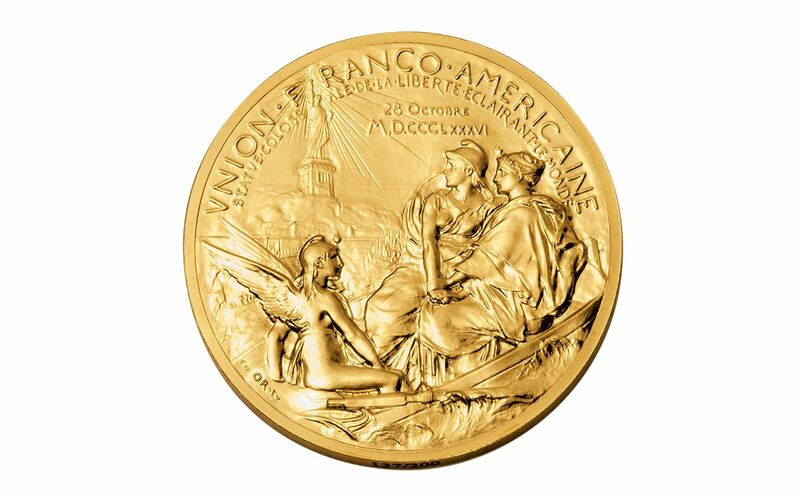 However, the statue wasn’t complete until 10 years later (1886), and the medal was issued 1896 to commemorate the 10th anniversary of that completion. Hence, a proof showing two dates on its reverse, neither of which was its actual year of issue! 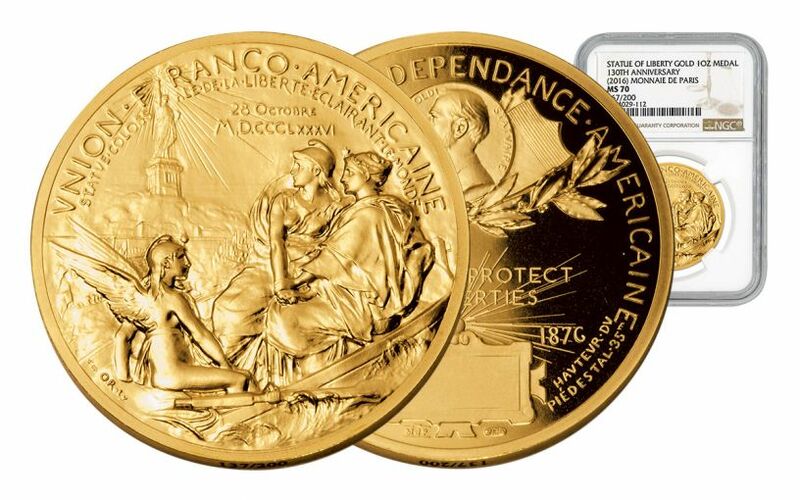 Few of the original medals exist today, so the Paris Mint re-struck them in 2016 to celebrate the 130th anniversary of the statue’s completion. They feature two women, representing France and America, holding hands as they gaze at the statue. They’re joined by a winged figure representing the French Revolution. 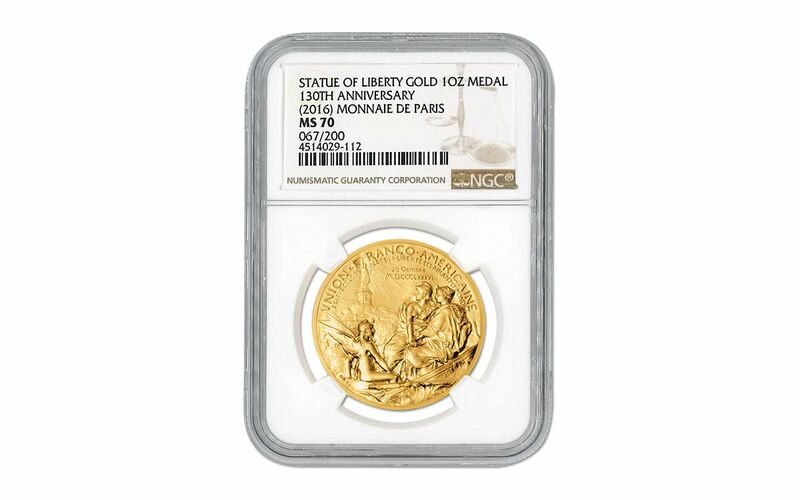 Order yours now in one ounce of 99.9% pure gold, complete with edge numbering and a perfect grade of Mint State-70 (MS70) from Numismatic Guaranty Corporation (NGC)!